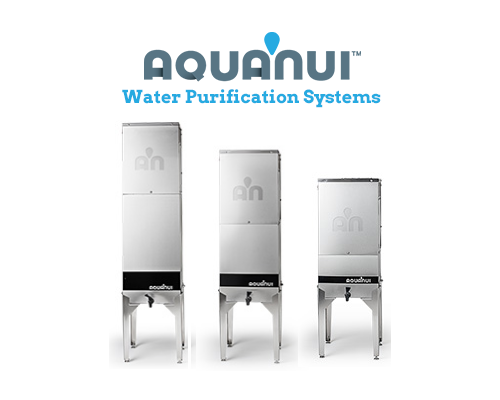 The AquaNui 8G automatic home water distiller produces up to 8 gallons of fresh pure water daily. This water distiller is great for couples with pets! It is shown here with a 5-gallon storage tank. 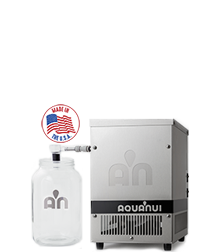 AquaNui 8G automatic home water distiller produces up to 8 gallons of water per day and includes a 5-gallon storage tank. It is the perfect combination of design and performance. Made of durable stainless steel—the ideal material for a distiller, the 8G produces 1 gallon of high-purity distilled every 3 hours. Storage tanks include a spigot, a stand with adjustable leveling feet, and a unique steam sterilization feature. 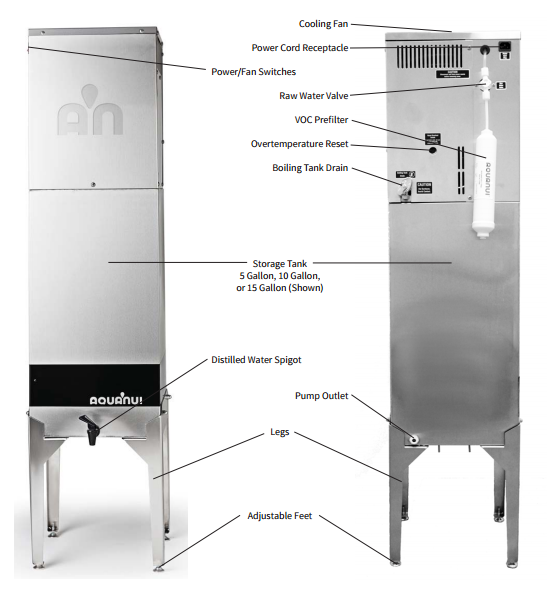 For easy installation, AquaNui premium automatic home water distillers include a saddle tapping valve, compression nuts, 15 feet of food-grade tubing, and VOC pre-filter. Several extended-reach faucet upgrades are available as well as larger storage tank options – please call 1-800-875-5915 for details. 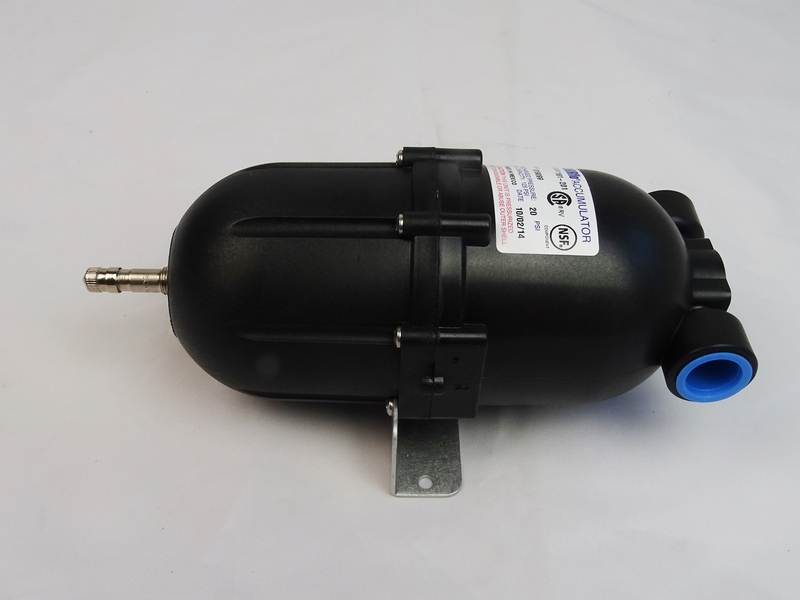 Do you need a Pump Kit? Do you need an Ice Maker Hook-Up Kit? We recommend the Ice Maker with Accumulator, especially when pumping water to the refrigerator spigot, ice maker, and kitchen spigot. 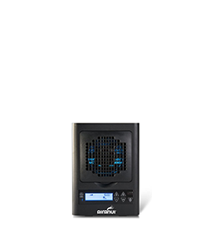 AquaNui is made in the USA by a family-owned company and comes with a 15-year limited warranty—including a 2-year full warranty on electrical parts. Patented design. 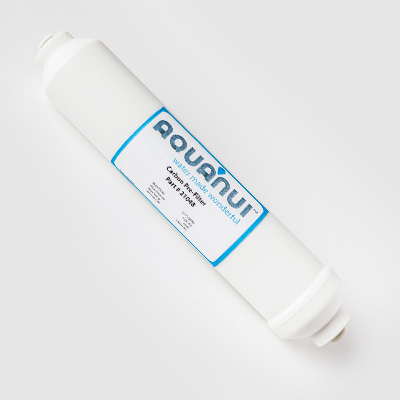 AquaNui is designed to produce high purity distilled water. 1000 Watt Heating Element ….. approximately 8 gallons per day. The AquaNui 8G is a fully automatic unit. The water level in the boiling tank is controlled by a float and microswitches and the storage tank is controlled by level sensing probes. The boiling tank operates on a modified batch approach. Feedwater is automatically added until a high level is reached and this triggers the heating element and fan to operate. This begins the distillation cycle. As the unit distills, the water level in the boiling tank falls. When the water level gets close to the heating element, the low-level microswitch is triggered, causing feedwater to be added until the high level is reached. If for some reason, no water enters the boiling tank when needed, the fan and heating element will turn off until the condition is corrected. Once the storage tank is full of distilled water, the unit will automatically shut down. 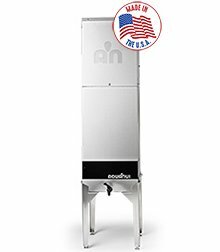 The AquaNui 8G Automatic Water Distiller will begin distilling again once the water level in the storage tank drops by approximately 1.5 Gallons. It continues to operate until the storage tank is full again. Use Stainless Steel Polish & Cleaner. The AquaNui has a manual drain valve that discards the contaminants and residue out of the boiling tank when opened. This minimizes the build-up of scale in the boiling tank. Important Note: If the unit is hot, turn the power OFF and allow it to cool before draining the boiling tank. Turn the Power Switch to OFF. Turn the valve on the back of the AquaNui and allow the residue to drain into a sink, drain or bucket. Turn the water off at the wall valve. Disconnect the filter from the tubing. Connect the inlet tube to the inlet side of the new filter. Hold filter over a bucket or drain. Cycle water on and off several times until water from the outlet of the filter is clear. Connect outlet of the filter to tubing. Turn water and power ON. Caution: Under no circumstances should the cleaning solution be heated and run through a steam sterilization or distillation cycle. Note: Failure to clean the boiling tank can result in scale build-up causing premature heating element failure, as well as reduced purity of the distilled water due to the possibilities of splash over of contaminants from the boiling tank. Turn the Power Switch to OFF. If needed, allow the unit to cool. Drain the boiling tank (see instructions above). Remove the back panel of the distillation unit. 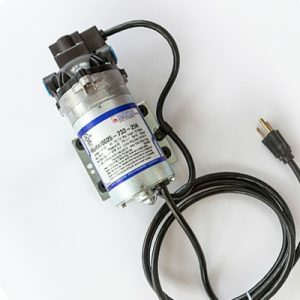 Disconnect the boiling tank wire harness, inlet tube, and steam tube. Remove the boiling tank. Manually fill the boiling tank until the scale is covered by water. 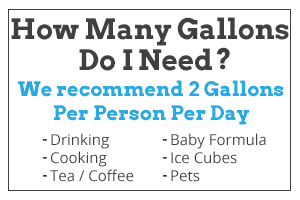 Add 2 Tablespoons of Lumen® descaler to the boiling tank. Allow to sit overnight. Drain all of the water from the boiling tank. If needed, use a wet/dry vacuum to remove any remaining debris from the tank. Rinse the inside of the tank with fresh water. Reinstall the boiling tank and turn the power ON. If you use the optional pump: Unplug the pump cord from the wall outlet. Use the storage tank faucet to completely drain the storage tank. Make sure the main power switch is ON. Place a cup or small bucket under the storage tank faucet, open faucet. Turn the fan switch to OFF. This will start a “Steam Sterilization” cycle. Steam will now be produced in the boiling tank. The steam will pass through the coil, but not be cooled. The steam will heat up and sterilize the storage tank. Allow the distiller to run for 30-45 minutes. Turn the fan switch to ON. Close the faucet on the storage tank. Allow the unit to fill the storage tank and shut off. Optional Pump: Plug the pump into the wall outlet.